Spice up your life with this cute Herb Stand. 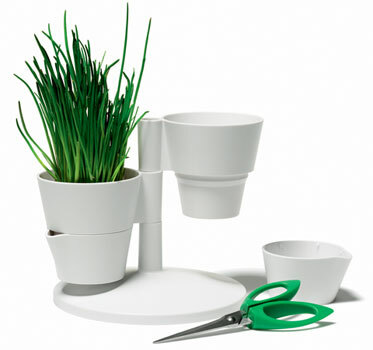 Designed by Jakob Heiberg for Normann Copenhagen, this stylish kitchen accessory is a set of white plastic herb containers with a pair of handy, stainless steel scissors. The herb containers can be used together as a set or on their own, letting you grow some of your favorite herbs while keeping them organized and tidy – give your food and kitchen some extra flavor and style.